DeMoss Accounting and Bookkeeping is pleased to offer exceptional professional bookkeeping services to Chattanooga area small businesses and non-profits. We understand that it’s important for you to spend your time on taking your business to the next level — not on the minutia of book work. That’s why you need a Chattanooga Accounting and Bookkeeping firm that you can trust to focus on your best interests and ensure that every detail in accounted for. Keeping up with your books can be time consuming and tedious. Let the professionals at Chattanooga’s premiere Accounting and Bookkeeping firm take care of your business needs. Bookkeeping is the process of recording the financial activities of a small business or non-profit organization and the the effects it has on the organizations’ cash flow. One important part of the bookkeeping process is to keep track of documents associated with transactions. Among other things, these may include: Invoices, Receipts, Checks and Deposit Slips. This isn’t the only banking information that is recorded during the bookkeeping process. Income Statements – These statements will demonstrate the profit or loss of the organization. Balance Sheets – These statements reveal the company’s financial position. Cash Flow Statements – Demonstrate the organization’s cash flow. By hiring a reputable and professional bookkeeping services firm in Chattanooga, small businesses and non-profits are able to focus their time and attention and the activities that will help drive growth and increase revenue. Often times, businesses fail because they spend too much time on non-revenue generating activities; or by allocating their time in an inefficient manner. “Keeping the books” can be time consuming and tedious. But not having it done correctly can prove fatal for your organization. It’s simply part of running a business in that you can’t avoid. That’s why we recommend allowing DeMoss Accounting and Bookkeeping Services to handle this task for you. Our professional bookkeeping services team has the training, experience and expertise to effectively take care of the accounting and bookkeeping needs for your small business or non-profit. We want you to be able to use your time making more money, not trying to keep track of how much you’ve made. Organizations will typically use two primary forms of bookkeeping systems. First is the Single-Entry System. It involves a “cash book” that is like a checking account statement. This system keeps track of the income and expenses associated with that business or organization. It will include information about assets, liabilities, equity, expenses and revenue. This system works well for most small businesses and non-profit organizations. The second is the Double-Entry System. With this system each transaction is recorded in two different ledger accounts. We’re entrepreneurs just like you. And just like you we run a small business. Because of this (and that we’re financial professionals), we understand how a disorganized or poorly run accounting system can negatively affect a business. We’ve spend years practicing and perfecting our craft. By allowing us to serve you, your company or organization will be able to enjoy the fruits of our labor. 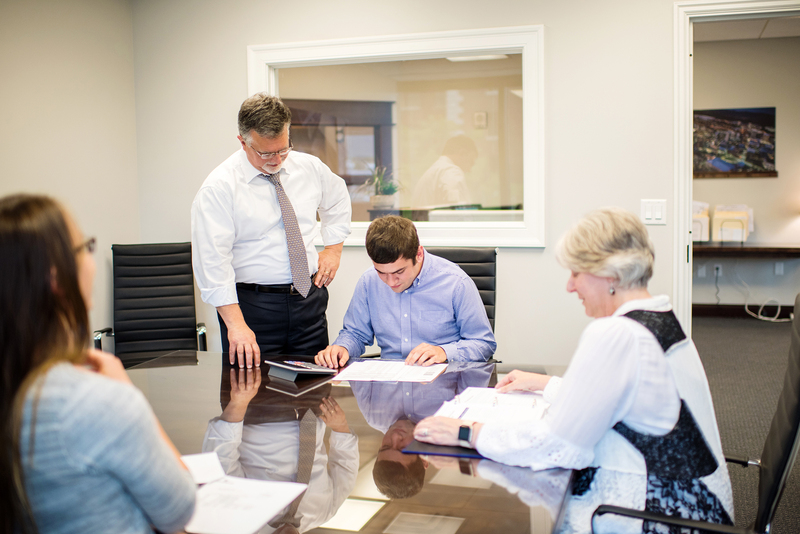 If you would like to have more information about our premiere Chattanooga professional bookkeeping services, please feel free to contact us at 423-551-9700. One of our accounting and bookkeeping professionals is ready to take your call. We hope to hear from you soon!